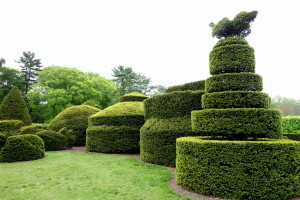 We are a group of people that are passionate about the art and techniques of Topiary. We are fascinated about the ways different cultures use gardening to express themselves. For thousands of years people have been using gardening to express their way of shaping living things. To be able to make something grow in the form you wish and have it healthy and vital is an awesome feeling. We are still learning every day and hope that if you share this passion you will share your story and pics with us. We welcome all Topiary enthusiasts from around the world to ask questions and engage with other that are just like them.